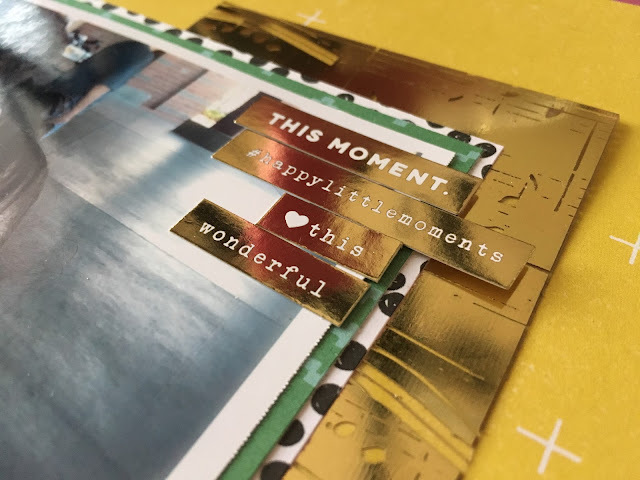 Hello and thank you for joining us for this super fun product swap between SpiegelMom Scraps and Creative Embellishments! I had a great time combining the products from these two companies. They look so awesome together! I hope you enjoy what I’ve created for you today and enjoy the rest of the hop! 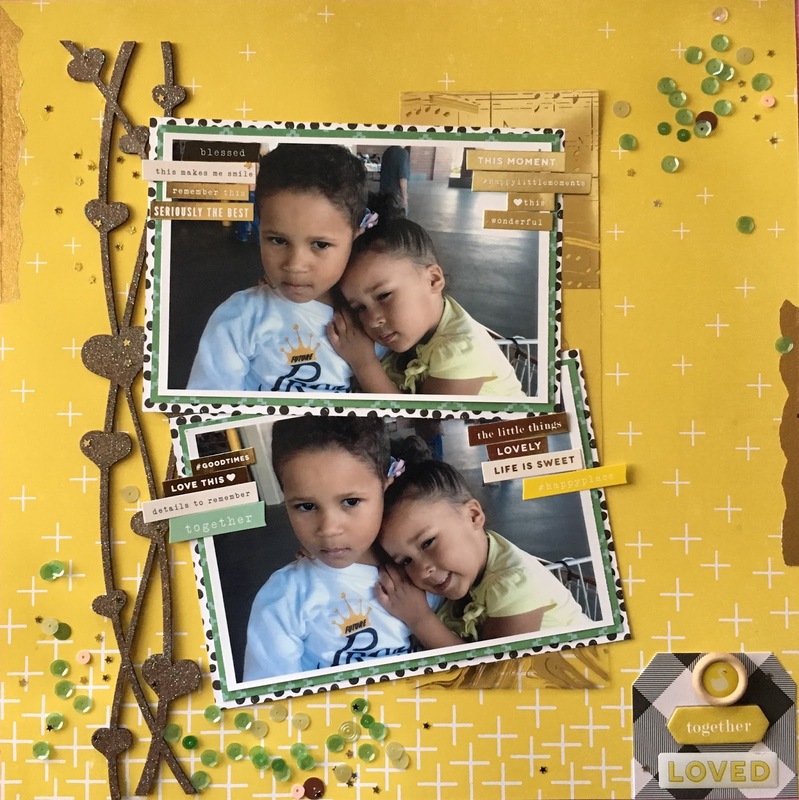 On this layout I used this awesome laser cut Creative Embellishment chipboard heart string embellishment and embossed it with some Judi Kins Iridescent Sparkle embossing powder. Then of course I used some of the new Spiegelmom Scraps sequins throughout the layout. 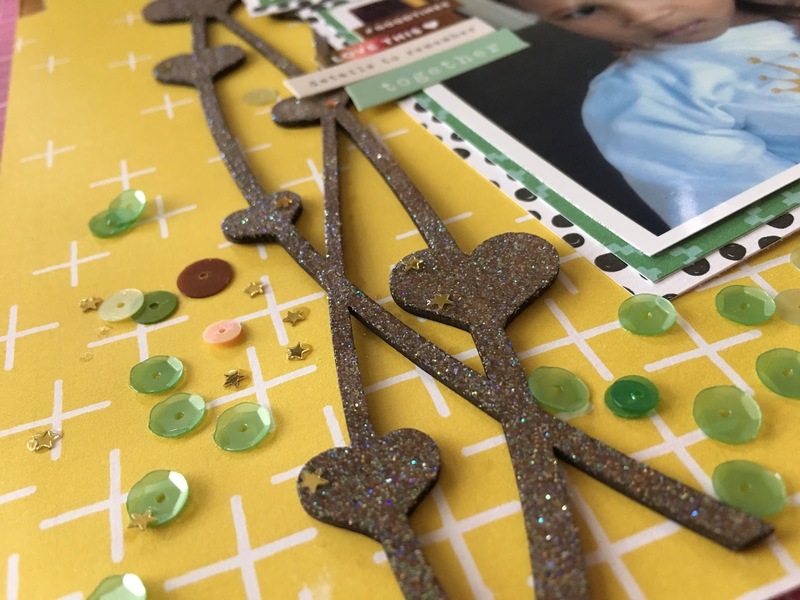 Here is a close up look at the laser cut chipboard embellishment and I added some of the Spiegelmom Scraps Gold Stardust sequins on top of the chipboard and some Green Acres sequins surrounding the hearts. Here is a close up of the sequins and embossed hearts on a string. I used some Maggie Holmes Gather word phrases on the edges of the photos to cover up some of the background in the photo. That is something you can do if your not able to crop the photo. 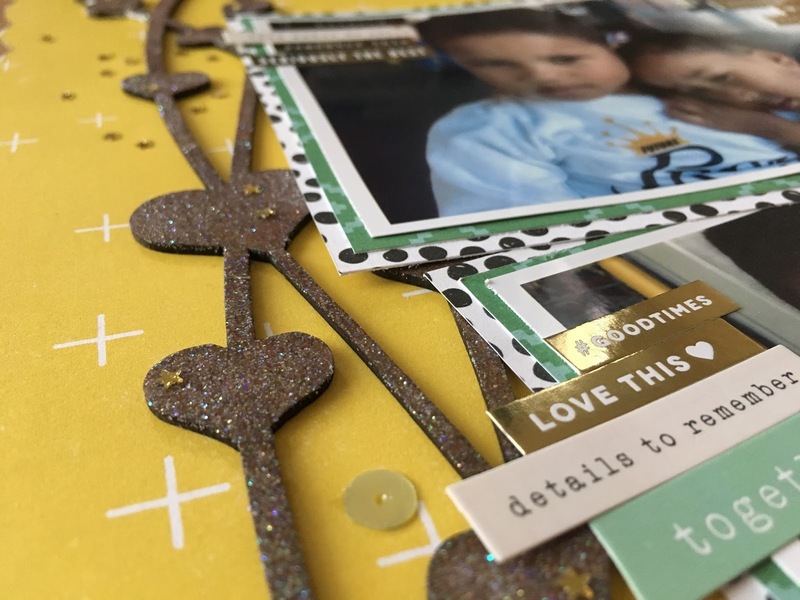 Love this look and I love the laser cut chipboard heart string! You can also alter your embellishment with paint, inks, texture paste, or embossing powder, which is what I used. Thanks for stopping by and be sure to stop at all the blogs for a chance to win some awesome prizes! Don't forget to stop at the Spiegelmom Shop and the Creative Embellishments shop for some really awesome goodies. 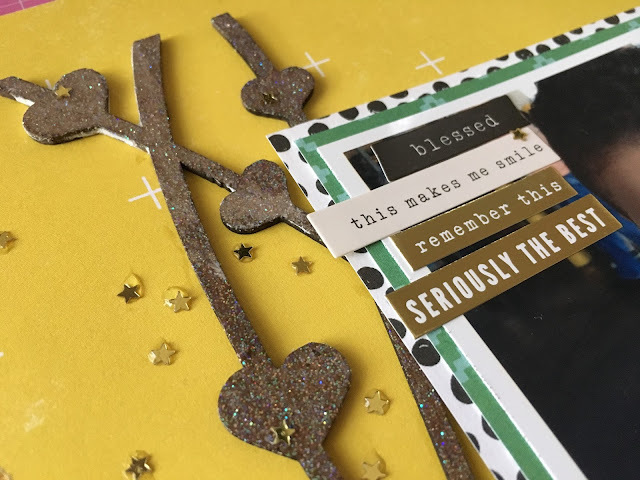 Now head on over to Lisa's blog to see the beautiful creation that she has created. Have fun!